Hello and welcome to the Metro Times' first-ever roundup of the 15 best new bands in the metropolitan area. 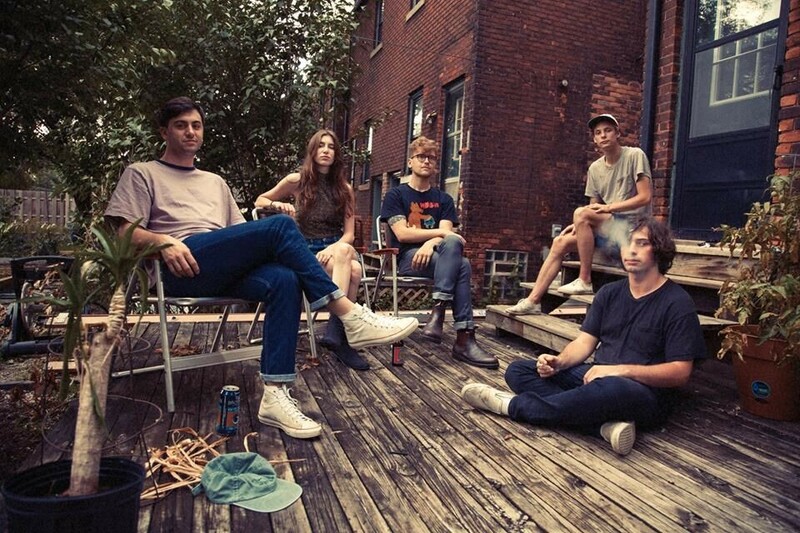 We're calling it 15 Best New Bands (Best New Bands for short). Our list encompasses a wide range of ages, musical styles, and pizza preferences. One of the artists might be in his 50s, while the youngest is 13. What were our criteria? In order to be on the list, an artist should have no more than one physical full-length release. Some artists (like Sheefy) do have more than one mixtape, but they primarily exist in Soundcloud form. This emphasis on the physical might be a bit old school, or arbitrary, but it works for us. We really believe that everyone on this list is super talented and deserves mass adulation. We cannot wait to watch them each grow, and get even better — over the next year, and beyond. 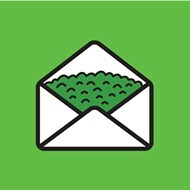 Before you go ahead and send nasty emails or sling derogatory comments in our general direction, we'd like to clear a few things up: You're right! Music editor Mike McGonigal isn't even from here, originally. Dude grew up in Cleveland and then had the nerve to live all over the country. How could he possibly have ever heard music made by people from here, seen those musicians on tour in other places, or read about that music, all while living in another place? Plus he's only lived here for one year now. So how could he possibly know a single thing about the local music scene? And how is it remotely possible that Paint Thinner isn't even on this list? Not to mention Tarpit, Heathered Pearls, Yellow Rail Family, Deadly Vipers, You, Deadbeat Beat, Sinistarr, Daher-Malis Duo, Gabi, Prude Boys, Spelling, Casual Sweetheart, Count Mack, or the genius electro performance project I started in my attic last month? We actually like all those artists, and do hope to cover them as soon as possible. They have toured a little bit, play shows around town here and there, and self-released one great cassette tape called Dad Rock. But Mountains and Rainbows have been one of Detroit's' best kept secret for some time, now. Lead singer and guitarist Matt Ziolkowski says that the band has been around for 10 years but the last two years' worth of work and focus make up for the previous eight years' lack thereof. 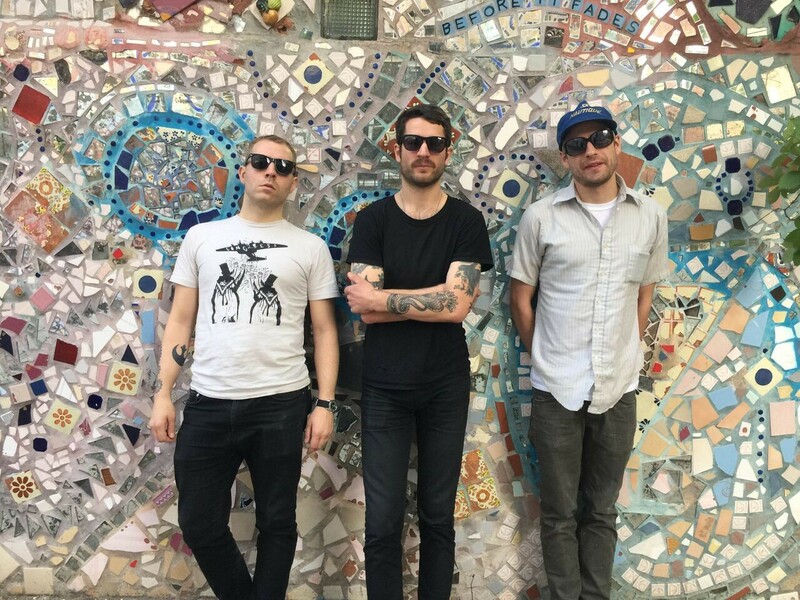 Their anonymity ceases next spring when their double-album debut, Particles, comes out on Castle Face, the label run by Oh Sees frontman John Dwyer, who took an instant liking to the band after playing with them at PJ's last year. Angular but poppy, restless but purposeful, the album updates the subtly propulsive sound of the Feelies' first record by adding psychedelic mumbo jumbo to it. It's related to Midwestern punk, but it's closer to a new wave hippie rock, buoyed by nihilistic optimism — the best of two worlds. "Listening to our forthcoming record is like meditating by a riverside; but it is also like going to the zoo to see a newly born red panda bear named Tofu," Ziolkowski says. "What I'm getting at is that it is both a mellow and exciting listening experience." This has been a busy year for Britney Stoney. She wrote and staged a musical, released an EP, and performed frequently. 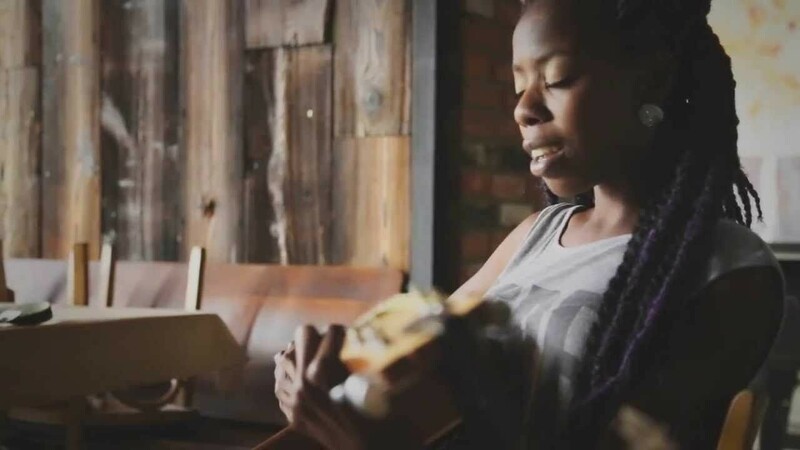 The neo-soul artist started out playing open-mic nights a few years ago, made some connections, and has since played many of Detroit's most beloved festivals, including this year's Dally in the Alley. Born and raised in Detroit, she's been living in the Eastern Market for a few years and loves the area's creative energy. "It's really inspiring to be around people doing what they love," Stoney says. 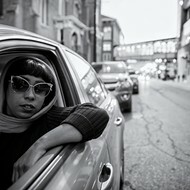 At just 25, she was named a 2014 Kresge Foundation Artist Fellow. And along with 18 other artists in the tri-county area, she received a grant to put toward her creative vision. "It was pretty life changing," Stoney says. "It definitely took my creativity to another level." The Kresge Arts Fellows all performed at the Art X Detroit Festival in April. Stoney wrote and staged a musical titled Save Yourself, which she counts as her proudest moment as an artist so far. Among other things, the grant allowed her to purchase some equipment, which has helped her expand her sound. She started out performing and recording with just a guitar and her voice, but her music's now more electronic. These newer songs became her Native EP, self-released in July and almost entirely recorded in her home over the past year. She's added a strong house influence to her signature blend of R&B and folk. And it still sounds like Stoney. She's a great singer and strong songwriter, and now it's clear she's a talented producer on top of it all. Her songs stick with you. Lauryn Hill and Erykah Badu are clear influences — and like those artists, she's able to combine deeper lyrics with pop choruses. We recommend checking the EP's tracks "Stay Down" and "Highway" immediately. 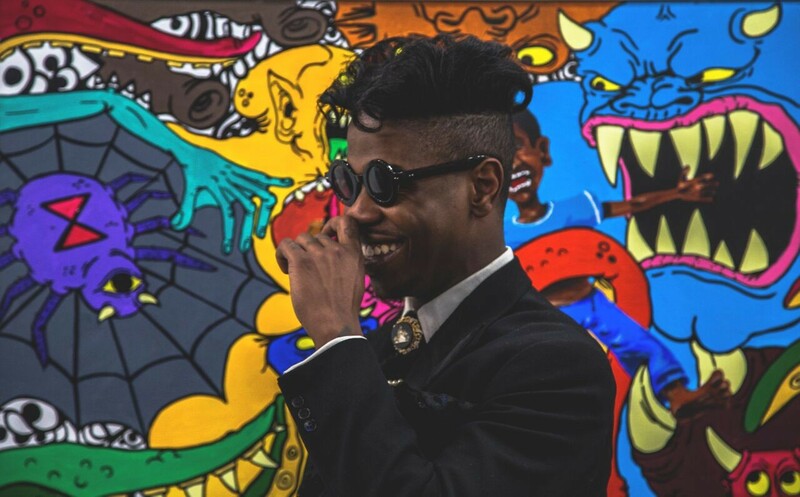 Sheefy McFly is Detroit's quintessential renaissance man. He's a Red Bull House of Art honoree who's sold paintings in Berlin and painted one of the illest murals you've ever seen in Corktown. "Before I started taking music seriously, I was sort of a hermit hiding behind my art," Sheefy says. "I've been making art my whole life so I had dreams of being Picasso before being Kanye. Music became my voice, my rebellion, and another emotional release," he says. "A turning point in my musical career was creating the monthly showcase 'The Air Up There' at Bob's Classic Kicks. At the time, I was too young to rock at any venue. So my good friend Jason at Bob's let me host the event there, and it evolved into the voice of the new generation of Detroit hip-hop. It became our Hip Hop Shop," he says. 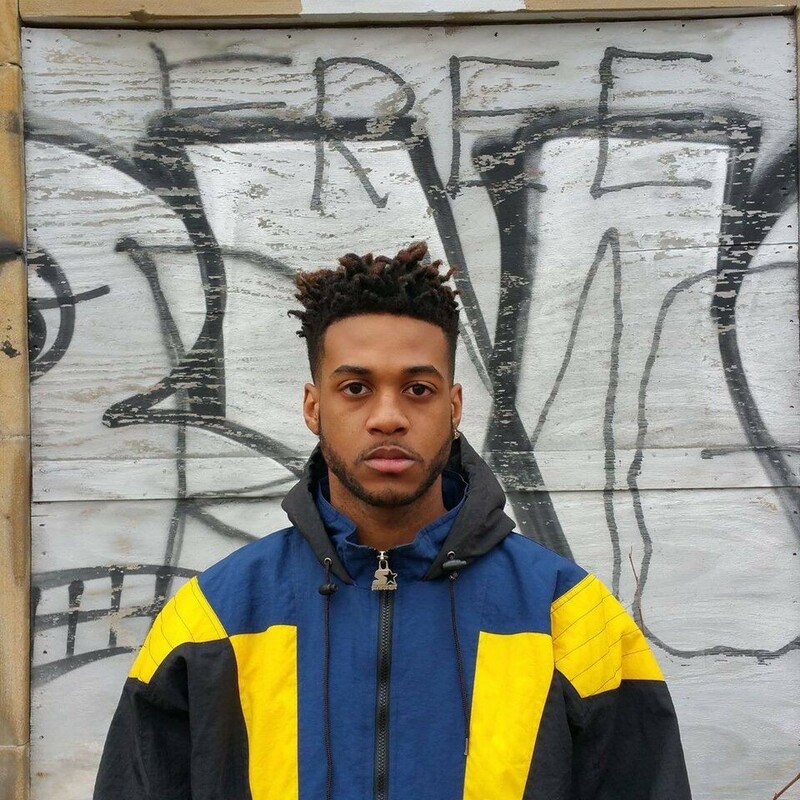 Sheefy's music is dope, offbeat, edgy, and street in a definitively Detroit kind of way. His 2011 single, "Eating Sushi Slapping Hoes" and his 2012 song "Hilfigger" and mixtape Northernplayalistikcapricemuzik were his "Look out muthafuckas, I'm here" moment. "When I make albums, they are conceptual, as if it were a painting," he says. "I create my covers so each cover embodies the emotion of the album. I consider my music audio art. And I don't bound myself by genres. Over the years I've become a prominent rapper/producer, DJ, alternative vocalist. I had a punk rock band too. My music isn't boom-bap or trap, just a reflection of my many emotions and concepts." 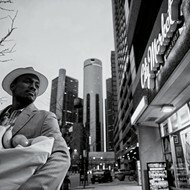 Sheefy's most recent release is Detroit Slim (Rager Haus), an album in both digital and physical formats. It's bit of a tribute to blaxploitation films that features humorous skits and his usual brand of witty hip-hop. There's another record planned for later this year, and he has no plans to stop releasing music. "I honestly have enough music to drop a single weekly until I die [laughs]," he says. "I do everything in house with Rager Haus, so I will release it if my listeners will keep listening." Calling himself not only a rapper, but a singer-songwriter, a poet, a designer, and a graphic artist as well, Tone Perignon seems to be driven by creative forces larger than himself. Born in Indianapolis and raised in Detroit, Perignon grew up listening to Motown and gospel and singing in the choir. 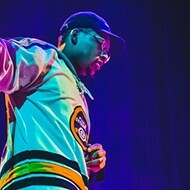 He learned to play the piano at 5 and saxophone in middle school, eventually discovering his older sister's hip-hop mix-tape cassettes, which in turn unlocked a passion for the kind of experimental, sample-based hip-hop he makes today. "Solar Plexus," the first single off upcoming EP Wax N' Lax, is a chilled-out four-minute track with a sampled hook that highlights Perignon's ear for mood and delivery. Halfway through the song, he pauses and completely shifts rhythm and pace, lending a deeper urgency to his words, and a tripped-out feel to the whole thing. "This song is my most revealing song about my outlook on life, or what we perceive as reality, and my constant struggle between consciousness and mortality," Perignon, an avid fan of the teachings of spiritual philosopher Deepak Chopra, says. "It's separated into two distinct parts: The first part I'm setting the scene, exposing my flaws and questioning reality. Midway through the track, after a trip to Ayuhuasca, the beat changes dramatically, transmuting me into my higher self, Amen Raw." 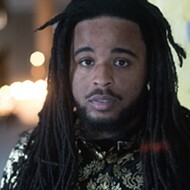 When asked about influences, Perignon mentions his love for "anything with soul in it" and a "funky vibe," but primarily credits late Harlem rap prodigy Big L and New Orleans-based Curren$y for influencing his detailed storytelling and relaxed flow. "Big L is a huge influence lyrically, and I also am a huge fan of Curren$y," he says. "I love his lifestyle rap and the way he sets a mood and the definitive vibe that he brings about." These days, the Detroit native is a student at Cornell University in Ithaca, N.Y., though he's currently spending this semester abroad in Europe where he hopes to do some shows in between classes. 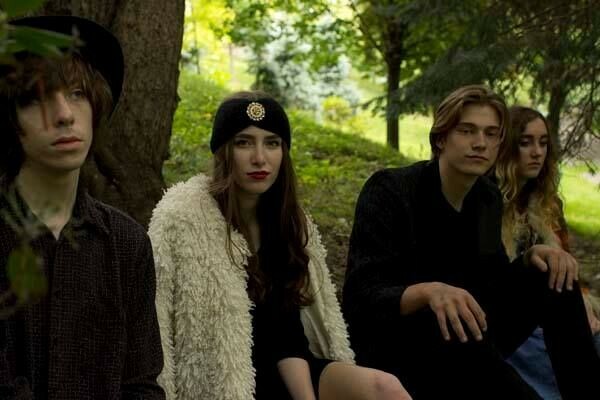 Back in New York, Perignon often collaborates with other musicians affiliated with the independent imprint Hermes. "I would like to say that my team and I are breaking boundaries sonically," he says. "We are constantly trying to create something new, authentic, and fresh." They're not quite country, and they're not quite rock 'n' roll, either. 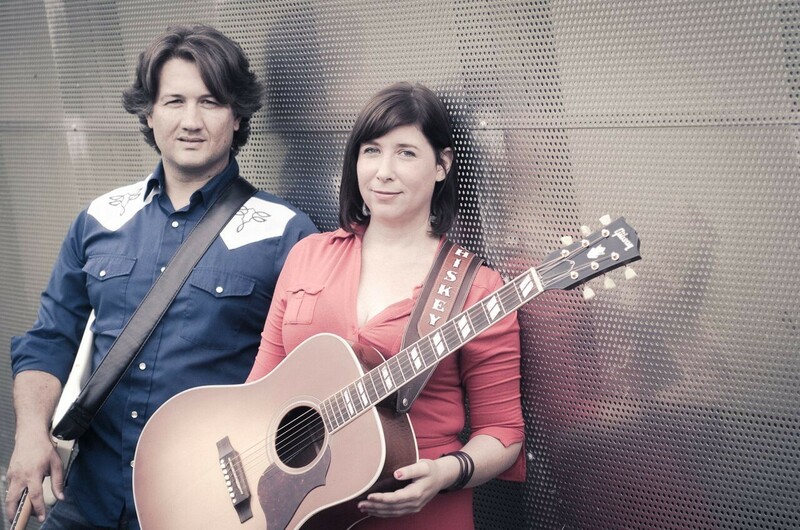 Earlier this year, Detroit natives the Whiskey Charmers (Carrie Shepard on vocals and Lawrence Daversa on guitar) self-released an impressive eponymous album chock-full of Americana goodness, settling into an enchanting cross-genre purgatory. It's the duo's first album, but is quite far from amateurish. It's been receiving widespread praise ever since it dropped in March, and rightfully so. 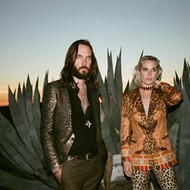 Shepard and Daversa have struck a musical gold mine in a Wild Wild West vein, laden with bluesy, haunted melodies and standout vocals. The pair isn't tied down by the current limitations (and banalities) of the contemporary country genre, nor do heavy guitars or rock energy flood the album's aura; portion control is found. "Elevator" is a strong opener — a unique, retro-chic number that sets the tone for the rest of the acoustic journey. Weeping, sliding guitars back up Shepard's smoky pleas throughout. She sounds like a mix of Sheryl Crow and Sarah McLachlan: eerie with the right tinge of twang. Ann Arbor's Human Skull formed just over a year ago when former Chit Chat bassist Joel Parkkilla asked bassist Brent Barrington and drummer Stefan Krstovic if they wanted to play in a fast and loud three-piece. "They both agreed without hesitation and that was surprising and felt pretty good," says Parkkilla, who plays guitar and sings in the band. Ann Arbor musician/producer Fred Thomas heard their demo and offered to record an album. They went into the studio with Thomas and recorded 10 songs, which they are working on releasing as an LP hopefully to be out in early 2016. They are also working on new songs and will be recording again soon. They've frequently drawn comparisons to Hüsker Dü and Dinosaur Jr., and the overall feeling of their songs is definitely in that vein. "All of our songs are pretty much the same tempo because it's the one that I like to bob my head and bounce to," Parkkilla explains. The tempo may remain consistent, but Parkkilla is coming into his own as a songwriter. The songs from the new album are more developed and feel epic in the most satisfying way. The Skull went on their first tour with Ann Arbor's Ping Pong in the spring. "Touring is a blast always, even when you're exhausted," Parkkilla says. "We do plan to tour more, but we want to go about it the right way and we all have big kid jobs so planning is key." Moonwalks want to be in outer space. Guitarist Tyler Grates says he wants to check out Jupiter because he heard they have really good radio stations. "I wouldn't stay on Jupiter, but I wouldn't mind not coming back to Earth," he says. "We're just visiting." Their music sounds at least halfway in space already. They make gorgeous psychedelic rock that is clearly 1960s-influenced, but it doesn't sound dated. They've been at it for almost two years, playing shows constantly. 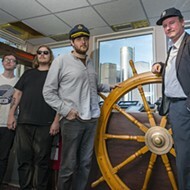 They recorded an EP with Jim Diamond at Ghetto Recorders and released it on cassette last year, followed by a short tour. A full-length was also recorded mostly with Diamond, and will be released on cassette in October by the L.A.-based label Manimal. "With our first EP, we were still trying to get a sound together with the four of us, so the songwriting was a little more straight to the point," Grates says. "With the new album, we had a little more experience in the Detroit scene and took notice of what was going on at the time, but still kept things within our reach. At the same time, [the new album is] leaning more towards an art rock/cinematic feel." He cites the Terrible Twos, Protomartyr, Mexican Knives, Bad Indians, and Growwing Pains as local influences. 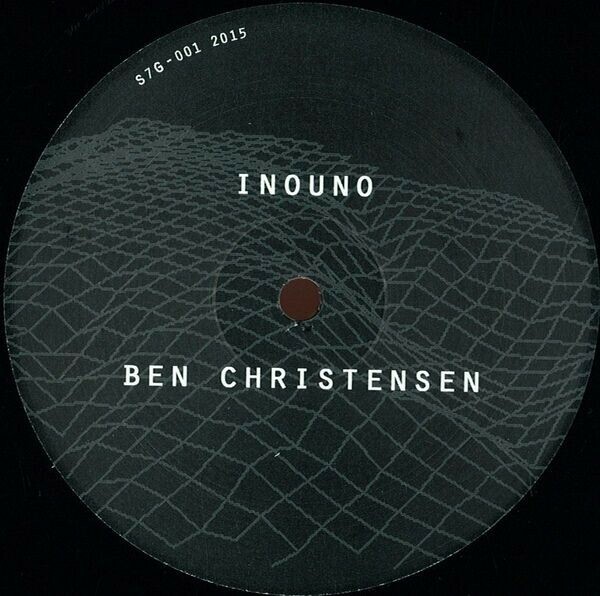 The next time you go for a drive at night, put on Ben Christensen's track "Inouno" and watch the city come alive. 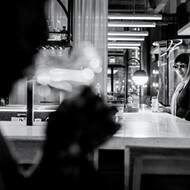 The flickering lights, the stop and start of passing cars — it all coheres to a new pulse. It's just one way to experience Christensen's newest self-produced, one-sided 12-inch single off his own label, Sector 7G. 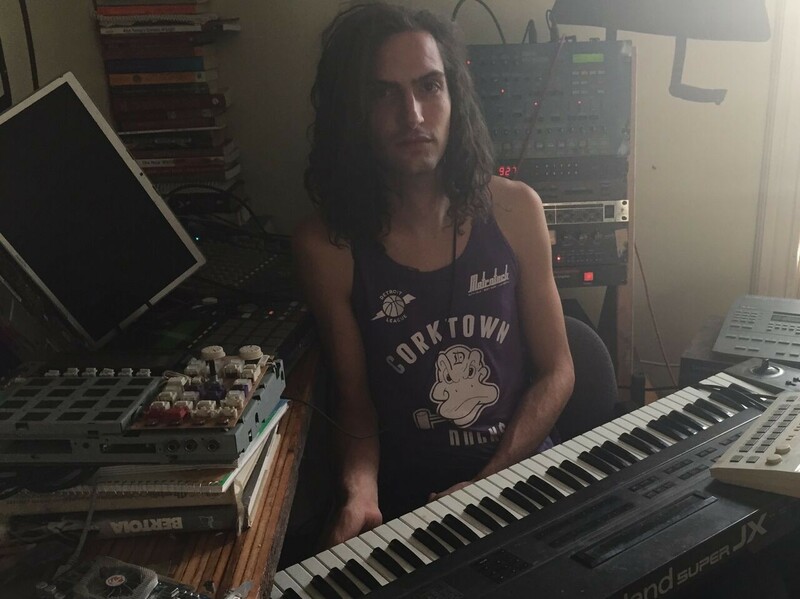 "I try to make music that is futuristic but human; it's gotta be funky," Christensen mused about his sound, which has been progressing since middle school, when he first started experimenting with electronic sounds. Indeed, there's an undeniable influence from the likes of Cybotron and Model 500. And if you're familiar with the classic cuts of Detroit techno, your ears will immediately pick up on the UFO sounds descending upon you. When we last talked to Beverly Johnson (a.k.a. Bevlove), in May, she was working on tracks in the studio. Now, she's just about ready let us all in on the fruits of those sessions with the release of a new song, "Obsession," on October 24, as the lead-up to a future project. Bevlove is a young songwriter and R&B singer making passionate electronic music that can be lush and dreamy or powerfully danceable, with hip-hop and old-school soul influences. With her beautiful voice that commands the productions it's laid over, Johnson is bursting with potential. Lately she's been listening to J*Davey and Bilal, a mix of electronic and classically soulful music When we tell her that her music reminds us of Miguel, she eagerly welcomes the comparison. "Kaleidoscope Dream, that defined my whole year," she says. Modestly short-spoken and big in substance, like so many of our favorite techno artists, Gustav Brovold, the self-described "hardware homedog from Detroit," is a musician's musician. 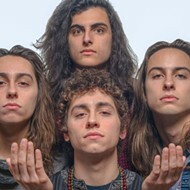 Gus started making music early, playing saxophone in his father's experimental rock band Larval, and then progressing to his high school punk bands (such as Lobotomys), and then Deastro (where he learned about audio synthesis and electronic music). Brovold eventually started making techno with "wacky '90s synths and gear," utilizing old-school production techniques. His sound is dark, haunting, and mesmerizing. It can also be high energy, even vicious at times— like on "Gut Wrencher" and "Nomo," which perfectly capture the dystopian vibes so often associated with our metropolitan area. 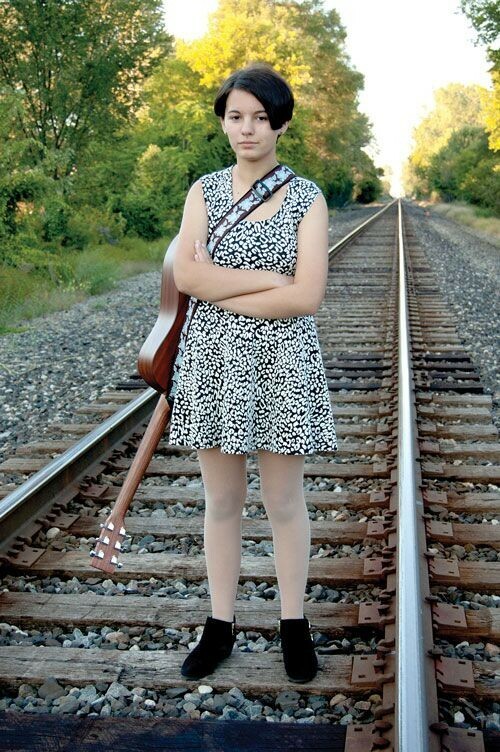 Thirteen-year-old folk singer Emma Islands' YouTube channel is pretty unassuming. She sits cross-legged on the floor of her bedroom — backpack askew on the floor, holding an acoustic guitar, or sometimes a ukulele across her lap. It's when she starts to sing that you're in for a surprise. Because frankly, it's hard to believe that such a rich, velvety alto can pour out of someone so young. What's more, Islands' voice imbues the pop songs she occasionally covers with such an affecting melancholy that's strikingly relatable to people of any age (check her cover of Madonna's "Borderline"). Chatoyant self-describe themselves as an "intuitively operating band [with] one foot in art music of the last 100 years and the other in rock 'n' roll abandon." 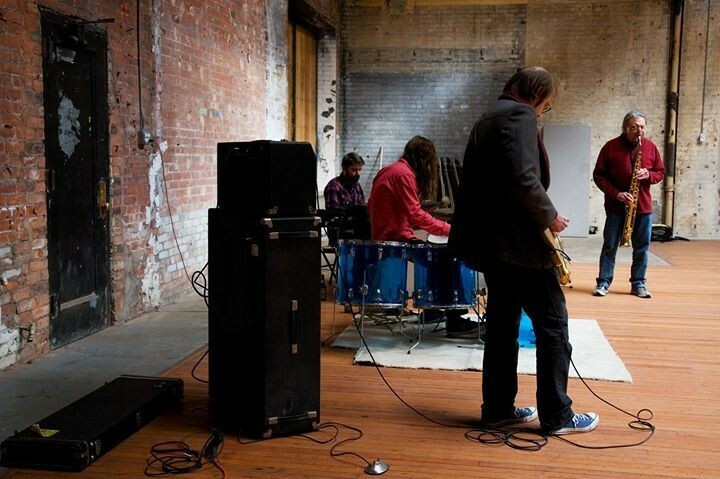 Members of the group have played in or with La Monte Young, Outrageous Cherry, Wolf Eyes, and Faruq Z. Bey. 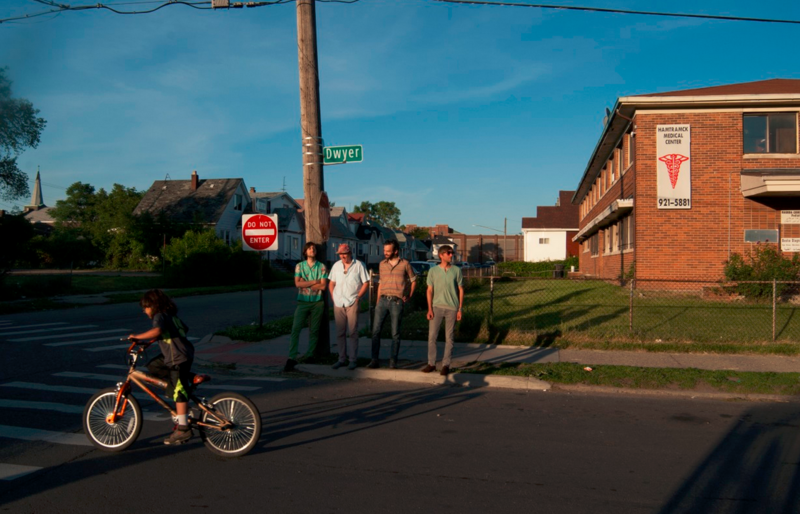 This Detroit supergroup's debut release, an LP recorded at a rehearsal two years ago using four vocal mics and a cassette deck, will be out in the next few months. The group is highly adaptable, and always engrossing. "We've had performances work in an insane array of settings and contexts," keyboardist Joel Peterson says. "Not perfectly every time, but perfectly in very disparate situations." Some hip-hop groups ascend the local musical ladder slowly and steadliy, while others, like Captwolf, just kick in the damn door. Their breakthrough mixtape, Liquor Store Pizza Party at My Crib, sent shudders throughout Detroit's local music scene. Their music is a mixture of boom-bap and trap with a lot of psychedelic originality in-between (imagine Odd Future collabing with the Boogiemonsters). "L.S.P.P. has been pretty well received; it's only been out a month and we're so grateful for all of the love and attention it's been getting," Swoozydolphin says. "People have been saying it's ahead of its time." 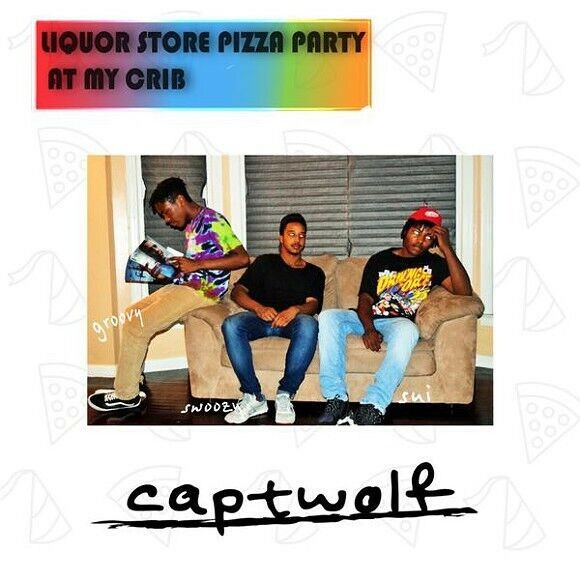 Along with Swoozydolphin; Captwolf is made up of LexTheRadical, Groovy Armani, Novakain, The Captain, and Young Sui. "We have all put out small projects before, but this is our first really committed effort," Swoozydolphin says. Though they don't sound like your typical Detroit hip-hop group; Captwolf is very much influenced by their local peers and predecessors. " I've been super influenced by everything local — Slum Village, Blade Icewood, Ghostly artists, Danny Brown, even the old-school techno and ghettotech stuff," he says. Growwing Pains have been through a lot since their start in 2011, when members were 16 and 17. "We started out as more of a punk band: faster, more intense," guitarist Adam Hunter says. "Our new stuff is more lyrically driven, mellower, and more thought out." Their self-described "anxiety pop" ranges from frantic high-energy rock to janglier, more subdued numbers. They have no shortage of instantly classic songs under two minutes. These are both great punk songs and great pop songs. Jay Reatard, Violent Femmes, and Raw Prawn are just a few of the bands Hunter cites as influences. Their first LP, 17 Songs About the Same Girl, came out last year on Urinal Cake, and they plan to record a new album over the winter, which they hope will be out by this time next year. Later this month, they hit the road for some dates with Protomartyr.